Anthony van Dyck, Charles I, 1635-6. Oil on canvas, 84.4 x 99.4 cm. Royal Collection Trust / © Her Majesty Queen Elizabeth II 2017. 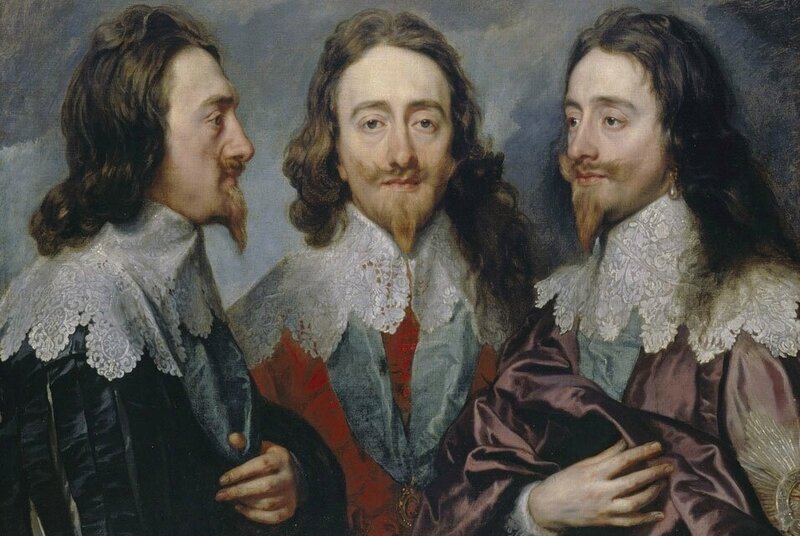 LONDON.- The Royal Academy of Arts, in partnership with Royal Collection Trust, presents Charles I: King and Collector, a landmark exhibition that reunites one of the most extraordinary and influential art collections ever assembled. 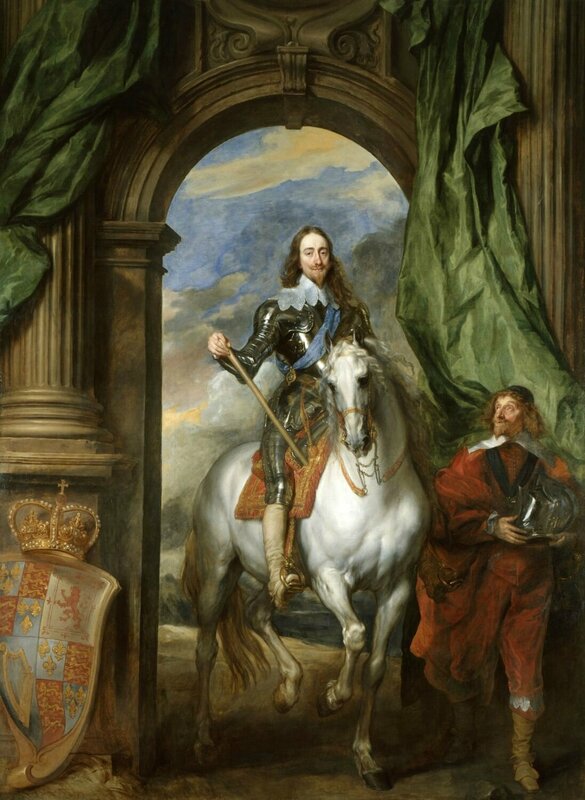 During his reign, Charles I (1600-1649) acquired and commissioned exceptional masterpieces from the fifteenth to the seventeenth century, including works by Van Dyck, Rubens, Holbein, Titian and Mantegna, amongst others. Charles I was executed in 1649 and just months later the collection was offered for sale and dispersed across Europe. Although many works were retrieved by Charles II during the Restoration, others now form the core of collections such as the Musée du Louvre and the Museo Nacional del Prado. 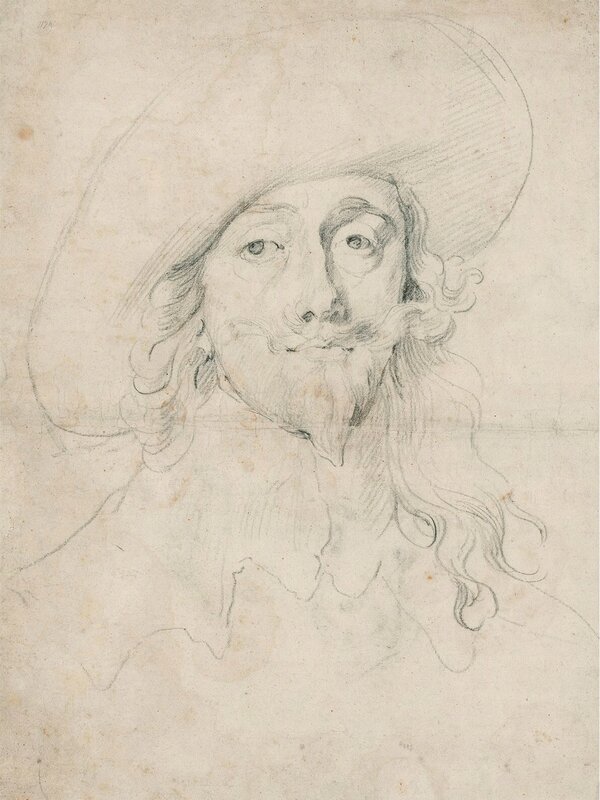 Anthony van Dyck, Charles I, c. 1632–36. Black chalk on paper. 47.9 x 36.5 cm. Rijksmuseum, Amsterdam. 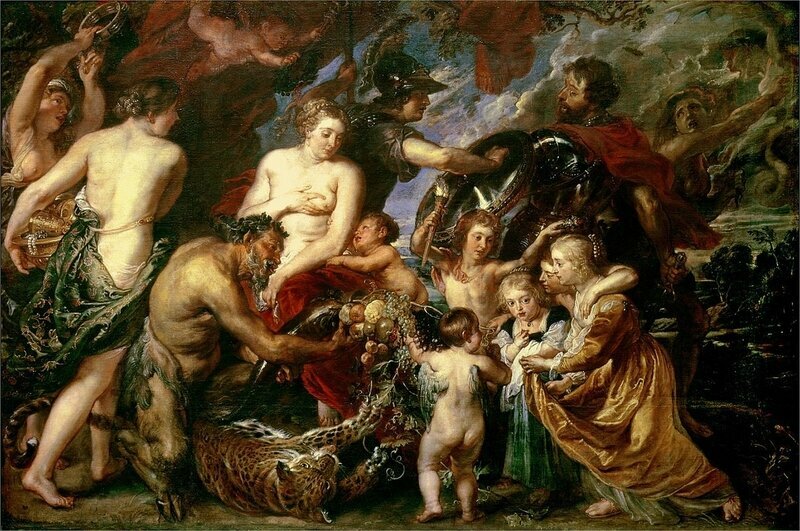 Purchased with the support of the Vereniging Rembrandt, inv. RP-T-1887-A-1162. Photo © Rijksmuseum, Amsterdam. Charles I: King and Collector includes over 90 works generously lent by Her Majesty The Queen from the Royal Collection. 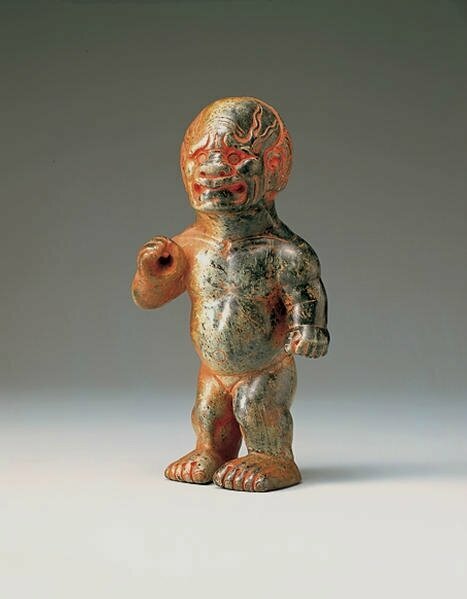 Major lenders also include The National Gallery, London, the Musée du Louvre, Paris, the Museo Nacional del Prado, Madrid, as well as numerous other public and private collections. Anthony van Dyck’s monumental portraits of the king and his family form the core of the exhibition: his first major commission upon his arrival in England, Charles I and Henrietta Maria with Prince Charles and Princess Mary (‘The Greate Peece’), 1632 (The Royal Collection), and his two magnificent equestrian portraits, Charles I on Horseback with M. de St. Antoine, 1633 (The Royal Collection), and Charles I on Horseback, 1637-38 (The National Gallery, London). They are being shown together with Van Dyck’s most celebrated and moving portrait of the king, Charles I (‘Le Roi à la chasse’), c.1635 (Musée du Louvre, Paris), which has returned to England for the first time since the seventeenth century. 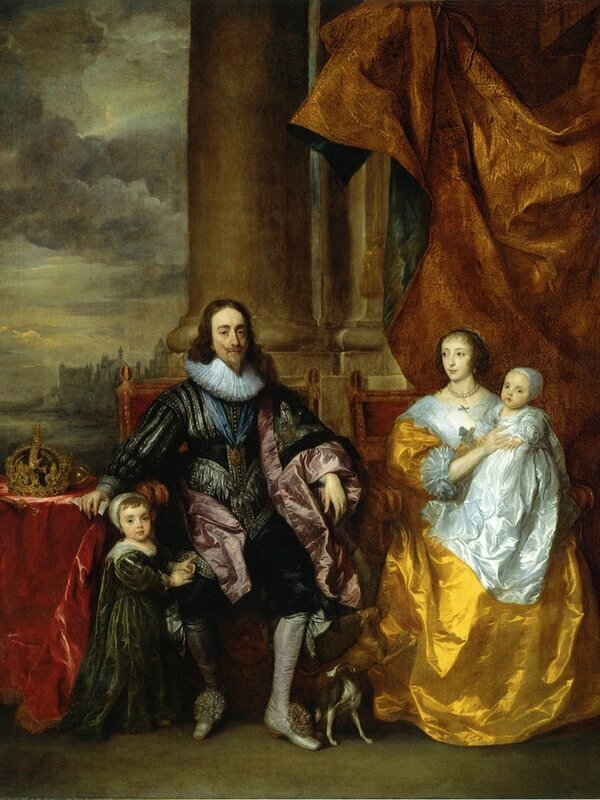 Anthony van Dyck, Charles I and Henrietta Maria with Prince Charles and Princess Mary ("The Greate Peece"), 1632. RCIN 405353. Royal Collection Trust / © Her Majesty Queen Elizabeth II 2017. 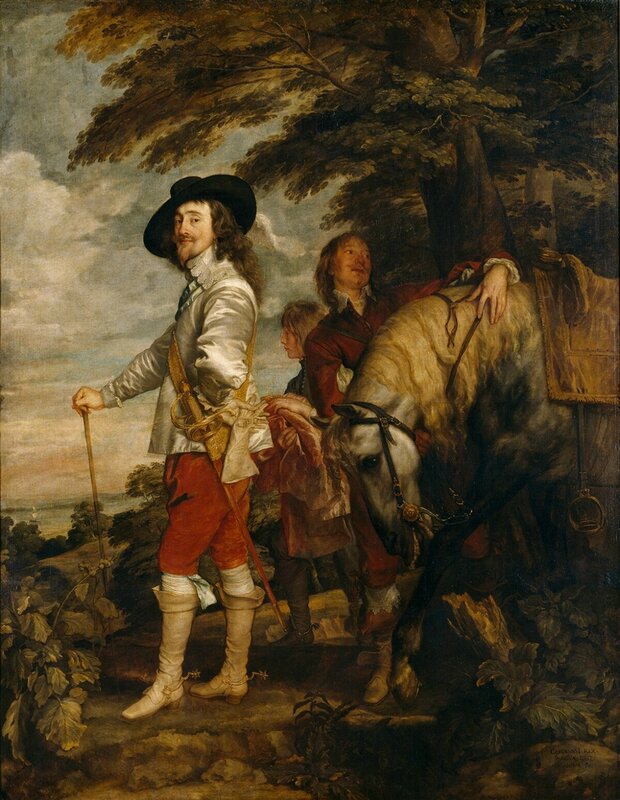 Anthony van Dyck, Charles I on Horseback with M. de St Antoine, 1633. RCIN 405322. Royal Collection Trust / © Her Majesty Queen Elizabeth II 2017. 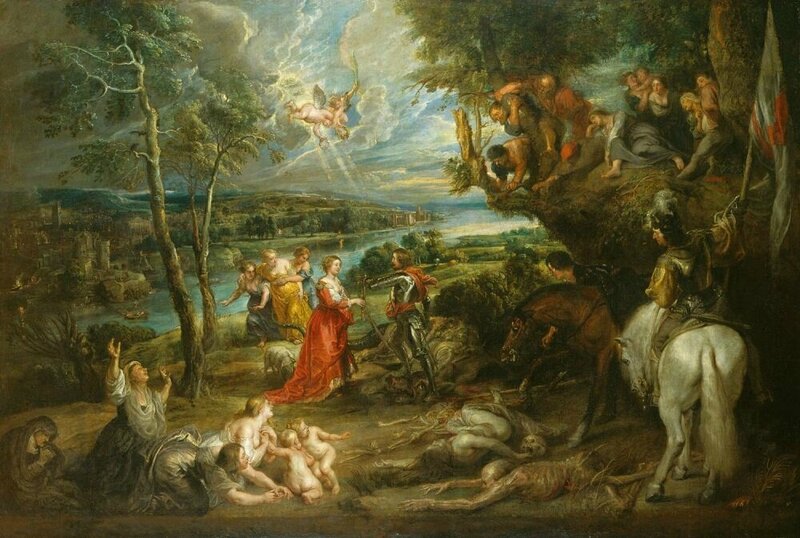 Anthony van Dyck, Charles I in the Hunting Field, c.1635. Oil on canvas. 266 x 207 cm. Paris, Louvre Museum, Department of Paintings. Photo © RMN-Grand Palais (musée du Louvre). Christian Jean. Charles I commissioned some of the most important artists of his day, and the exhibition includes Peter Paul Rubens’s Minerva Protects Pax from Mars (‘Peace and War’), 1629-30 (The National Gallery, London) and his Landscape with Saint George and the Dragon, 1630-5 (The Royal Collection) as well as Van Dyck’s spectacular Cupid and Psyche, 1639-40 (The Royal Collection). Particular attention has been given to the patronage of Queen Henrietta Maria, including works by Orazio Gentileschi and Guido Reni. 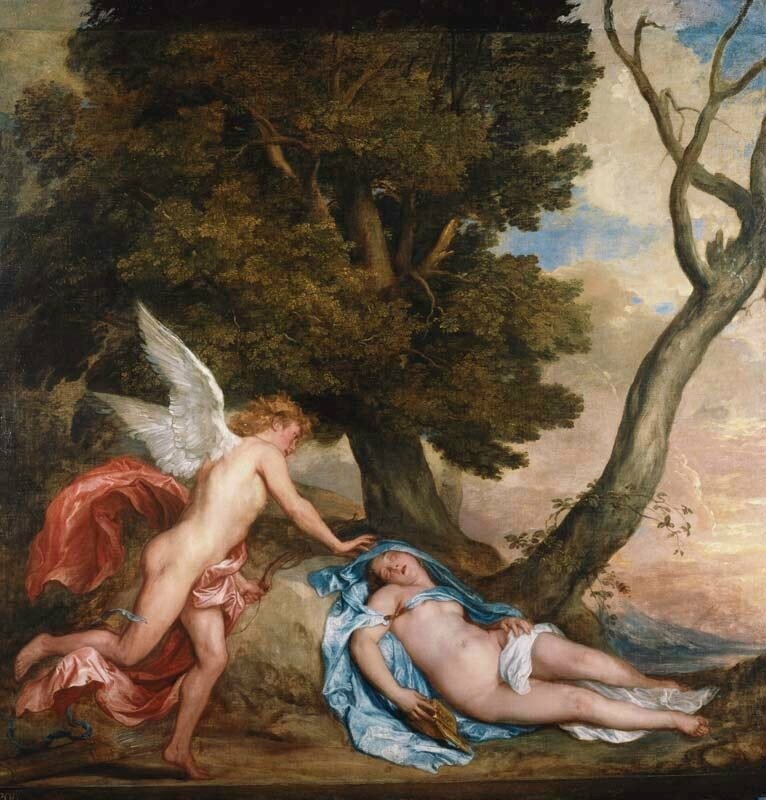 Anthony van Dyck, Cupid and Psyche, 1639-40. Oil on canvas. 200.2 x 192.6 cm. RCIN 405571. Royal Collection Trust / © Her Majesty Queen Elizabeth II 2017. 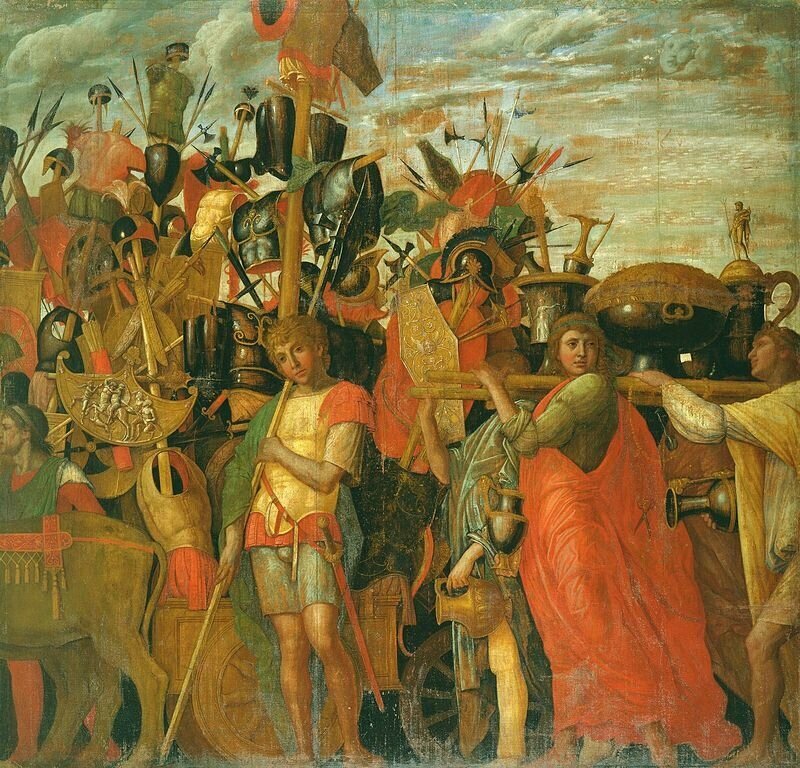 In addition, the exhibition presents the most important Renaissance paintings from the collection, including Andrea Mantegna’s monumental series, The Triumph of Caesar, c.1484-92 (The Royal Collection), which commands a dedicated gallery within the exhibition, as well as Titian’s Supper at Emmaus, c.1530 (Musée du Louvre, Paris), and Charles V with a Dog, 1533 (Museo Nacional del Prado, Madrid). Other Renaissance artists represented are Correggio, Agnolo Bronzino, Jacopo Bassano, Tintoretto and Paolo Veronese as well as Albrecht Dürer, Jan Gossaert, Hans Holbein the Younger and Pieter Bruegel the Elder. 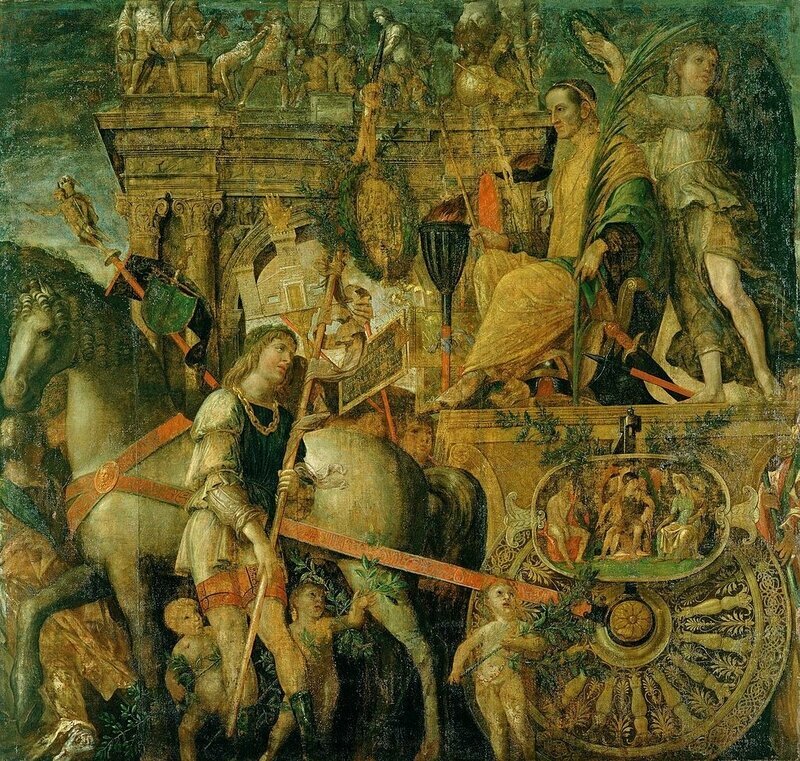 Andrea Mantegna, Triumph of Caesar: The Picture Bearers, c.1484-92. Tempera on canvas. 270.3 x 280.7 cm. RCIN 403958. Royal Collection Trust / © Her Majesty Queen Elizabeth II 2017. 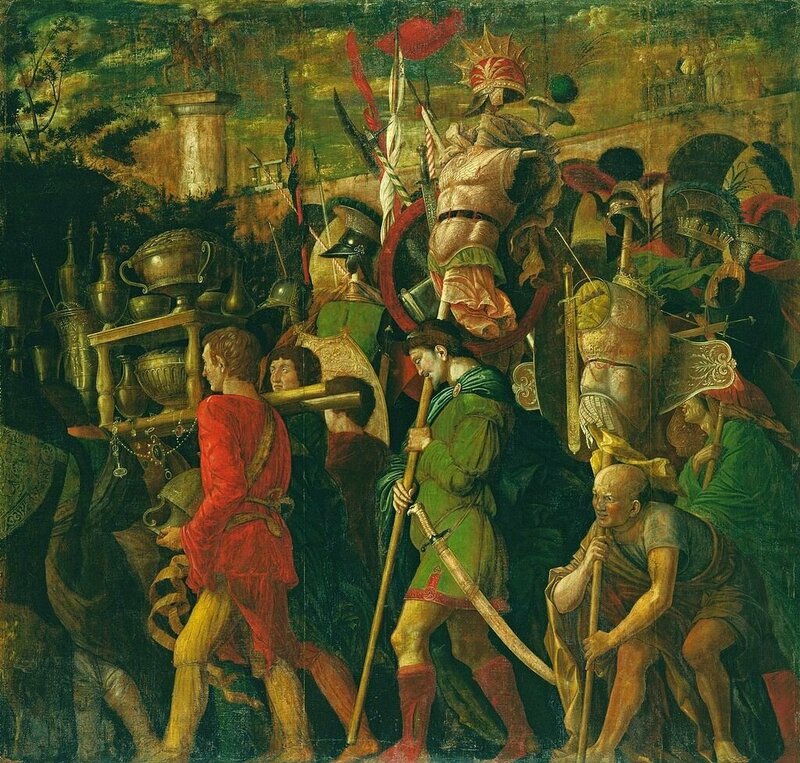 Andrea Mantegna, Triumph of Caesar: The Bearers of Standards, c.1484-92. Tempera on canvas. 269.5 x 280 cm. RCIN 403959. Royal Collection Trust / © Her Majesty Queen Elizabeth II 2017. 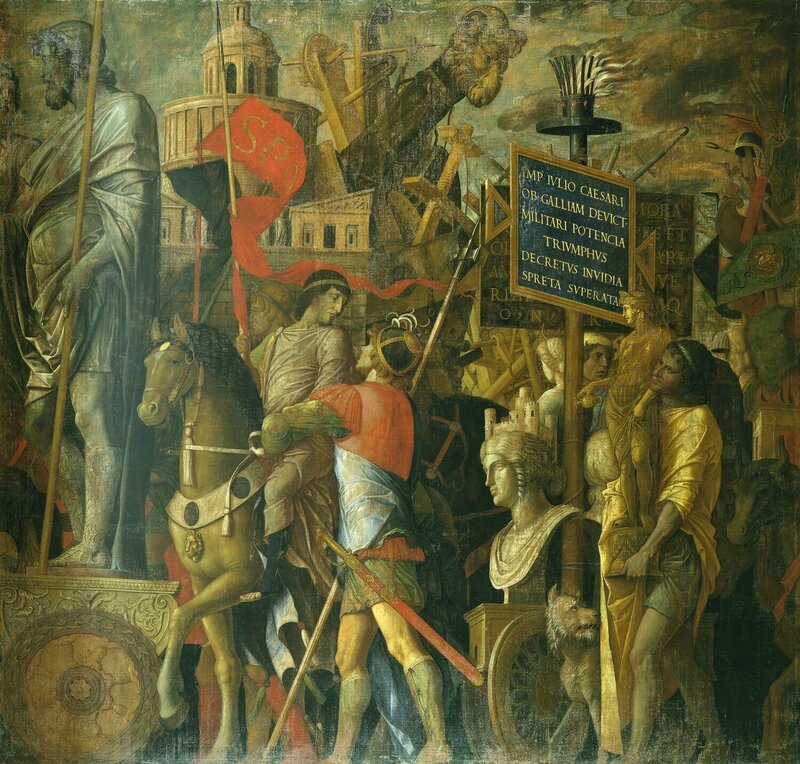 Andrea Mantegna, Triumph of Caesar: The Bearers of Trophies and Bullion, c.1484-92. Tempera on canvas. RCIN 403960. Royal Collection Trust / © Her Majesty Queen Elizabeth II 2017. 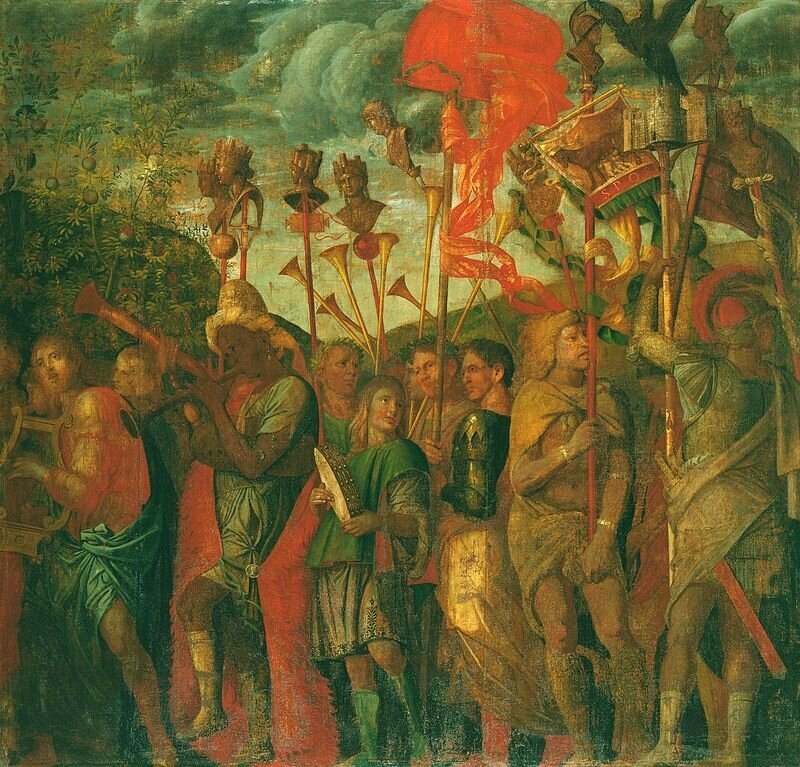 Andrea Mantegna, Triumph of Caesar: The Vase Bearers, c.1484-92. Tempera on canvas. 269.5 x 280 cm. RCIN 403961. Royal Collection Trust / © Her Majesty Queen Elizabeth II 2017. 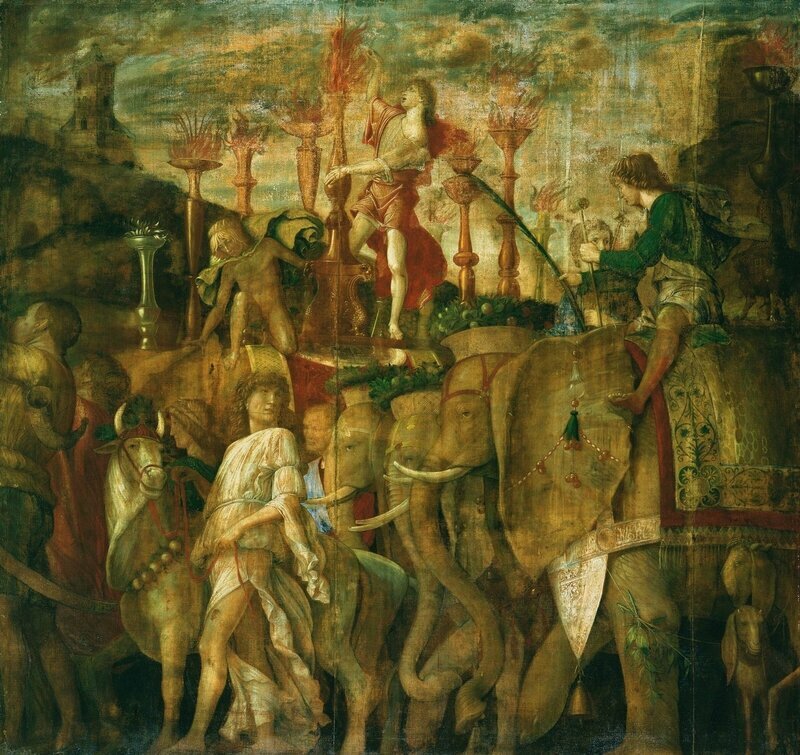 Andrea Mantegna, Triumph of Caesar: The Elephants, c. 1484-92. Tempera on canvas. 270.0 x 280.7 cm. RCIN 403962. Royal Collection Trust. © Her Majesty Queen Elizabeth II 2017. Andrea Mantegna, Triumph of Caesar: The Corselet Bearers, c. 1484-92. Tempera on canvas. RCIN 403963. Royal Collection Trust. © Her Majesty Queen Elizabeth II 2017. 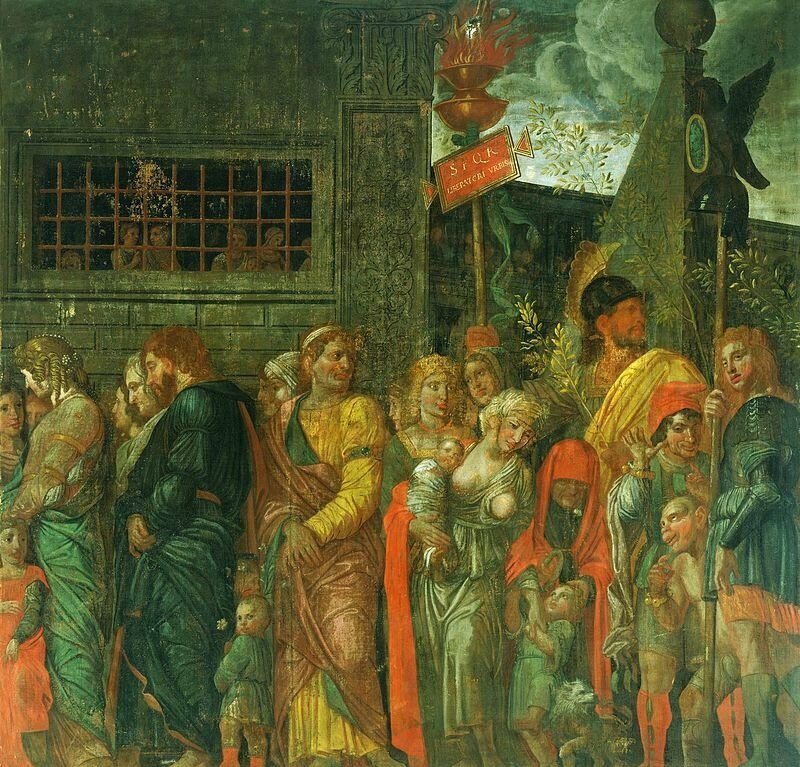 Andrea Mantegna, Triumph of Caesar: The Captives, c. 1484-92. Tempera on canvas. RCIN 403964. Royal Collection Trust. © Her Majesty Queen Elizabeth II 2017. 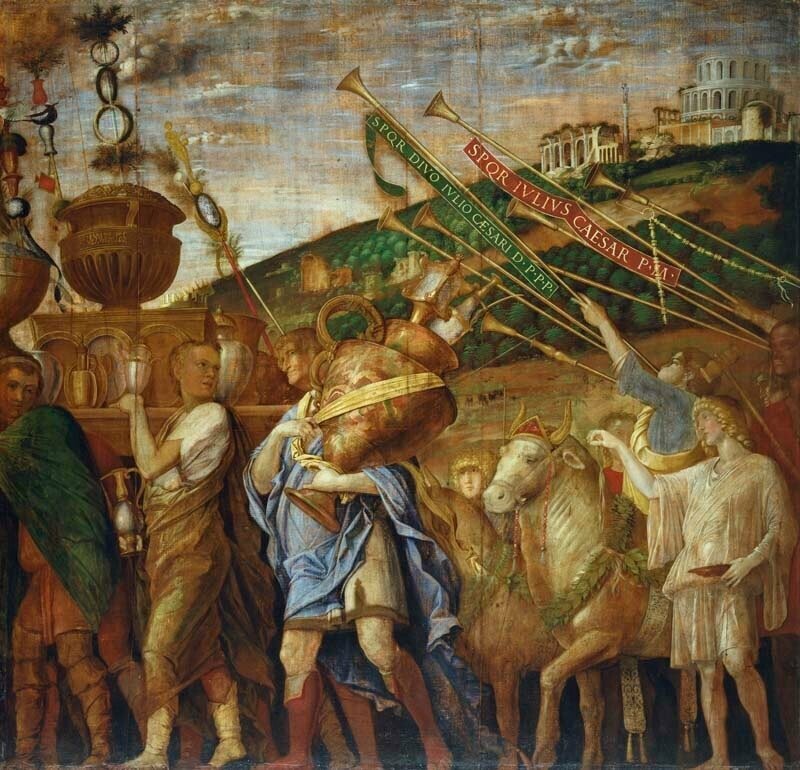 Andrea Mantegna, Triumph of Caesar: The Musicians, c. 1484-92. Tempera on canvas. RCIN 403965. Royal Collection Trust. © Her Majesty Queen Elizabeth II 2017. 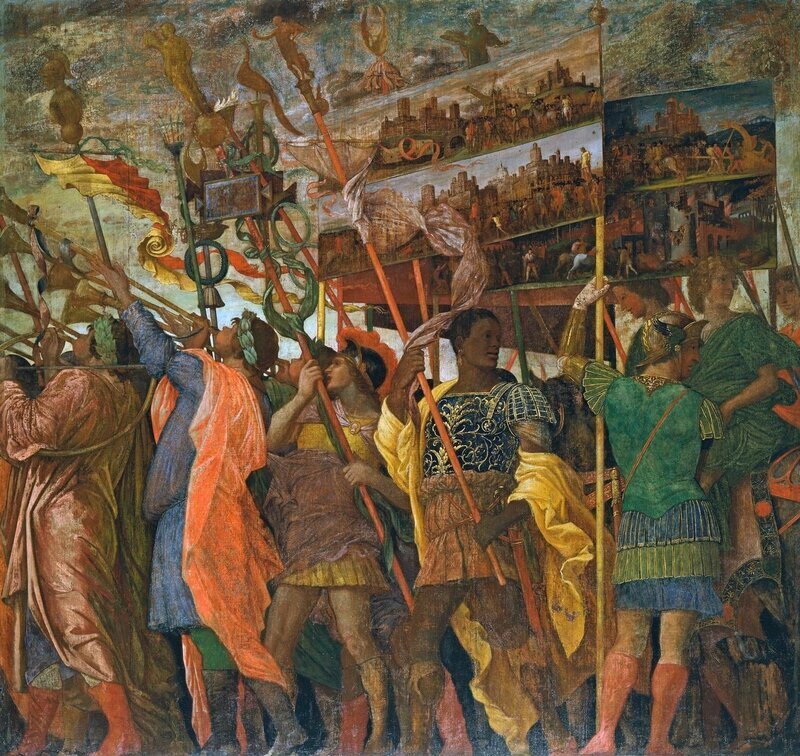 Andrea Mantegna, Triumph of Caesar: Julius Caesar, c. 1484-92. Tempera on canvas. RCIN 4039666. Royal Collection Trust. © Her Majesty Queen Elizabeth II 2017. 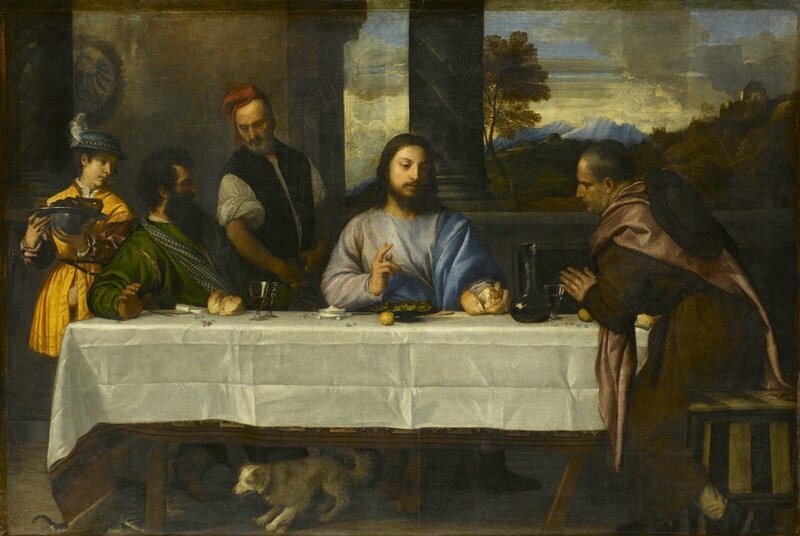 Titian, The Supper at Emmaus, c.1530. Oil on canvas, 169 x 244 cm. Paris, Louvre Museum, Department of Paintings, inv. 746. Photo © RMN-Grand Palais (musée du Louvre). 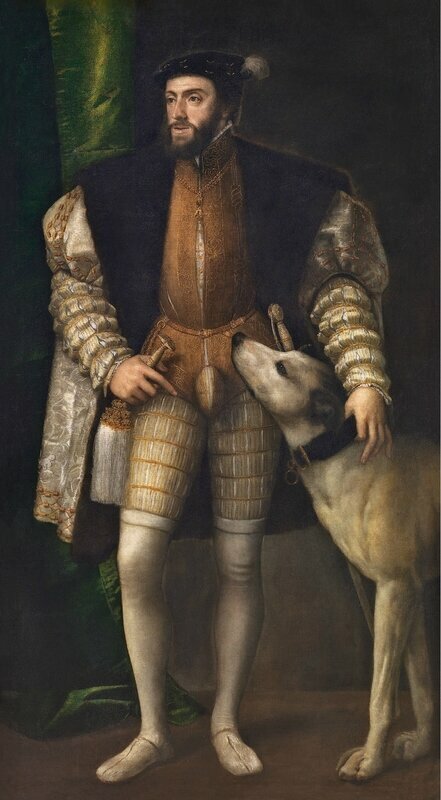 Titian, Charles V with a Dog, 1533. Oil on canvas. 194 x 112.7 cm. Museo Nacional del Prado, Madrid, inv. P00409. Photo © Museo Nacional del Prado. Further highlights are the celebrated Mortlake tapestries of Raphael’s Acts of the Apostles, c.1631-40 (Mobilier National, Paris), arguably the most spectacular set of tapestries ever produced in England, as well as the precious works formerly kept in the Cabinet at Whitehall Palace, including paintings, statuettes, miniatures and drawings. 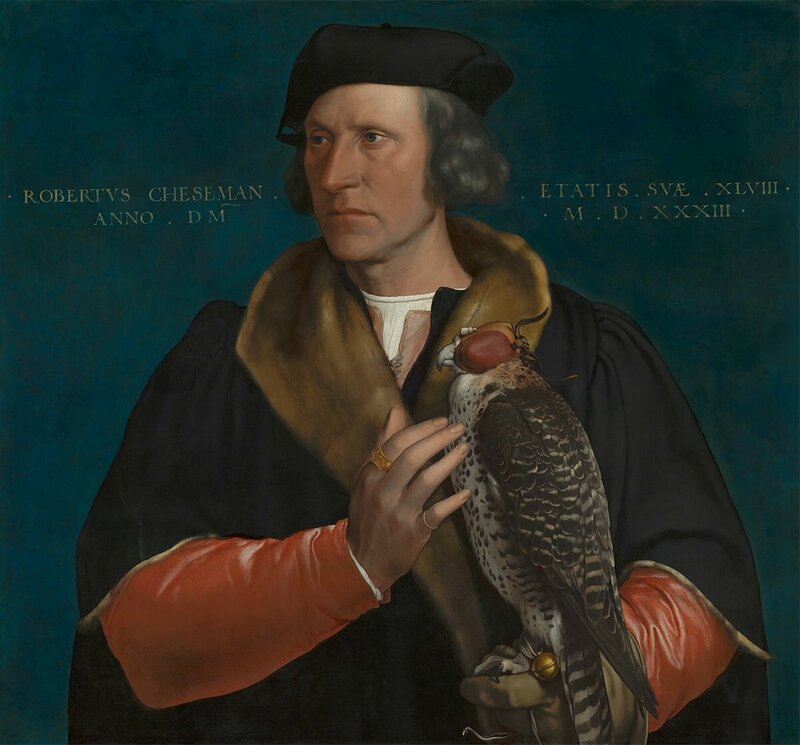 Hans Holbein the Younger, Robert Cheseman, 1533. Oil on panel. 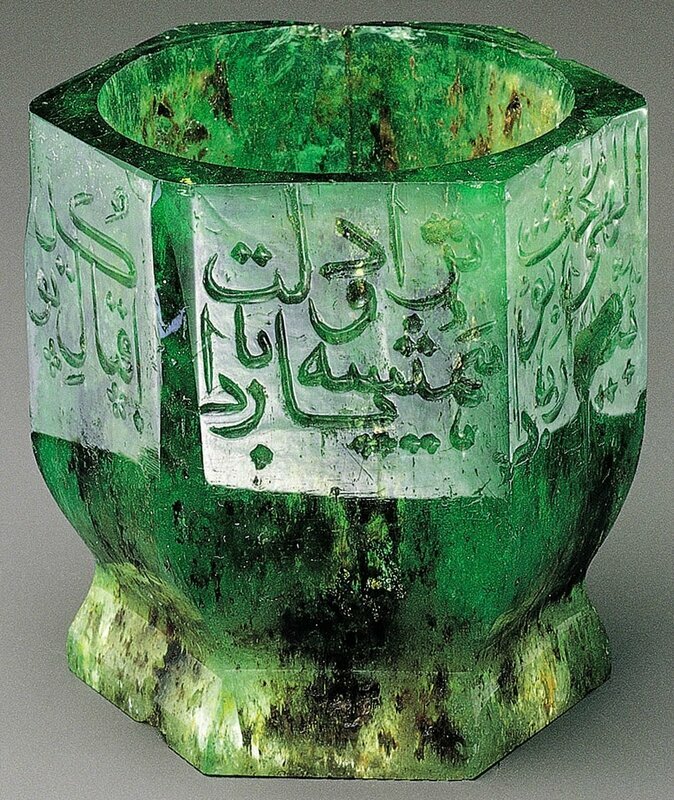 58.8 x 62.8 cm. Mauritshuis, The Hague, inv. 276. Photo © Mauritshuis, The Hague. 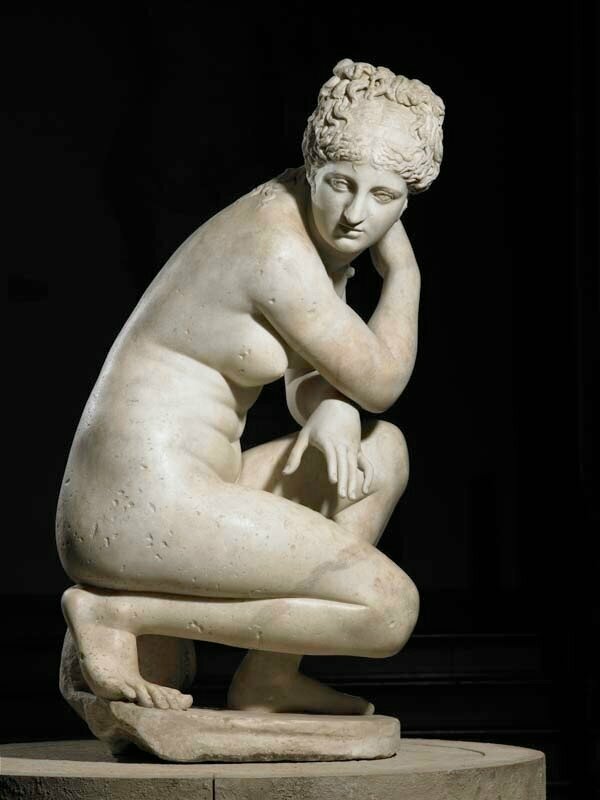 Roman, Aphrodite ('The Crouching Venus'), second century. Marble. 119 cm. RCIN 69746. Royal Collection Trust / © Her Majesty Queen Elizabeth II 2017. 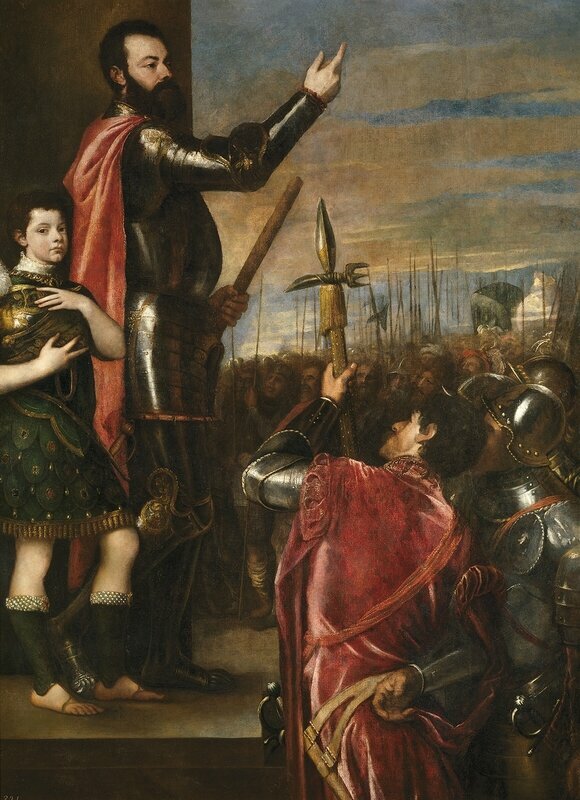 Titian, The Allocution of Alfonso d’Avalos to His Troops, 1540-41. Oil on canvas. 223 x 165 cm. Museo Nacional del Prado, Madrid, inv. P00417. Photo © Museo Nacional del Prado. Paolo Veronese, Mars, Venus and Cupid, c.1580. National Galleries of Scotland, Edinburgh. Purchased by the Royal Institution 1859; transferred to the National Gallery of Scotland 1867. Photo: Antonia Reeve © National Galleries of Scotland. 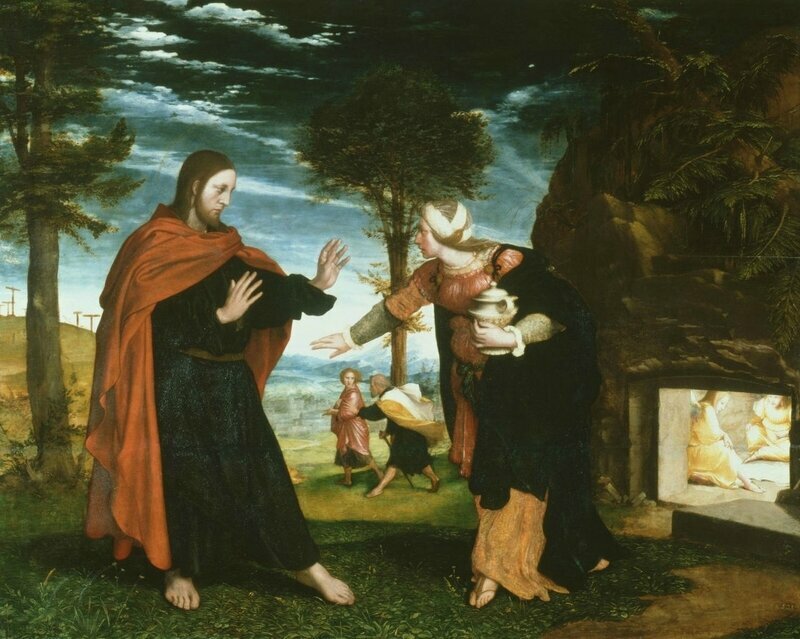 Hans Holbein the Younger, "Noli me tangere", 1526 - 28. RCIN 400001. Royal Collection Trust / © Her Majesty Queen Elizabeth II 2017. 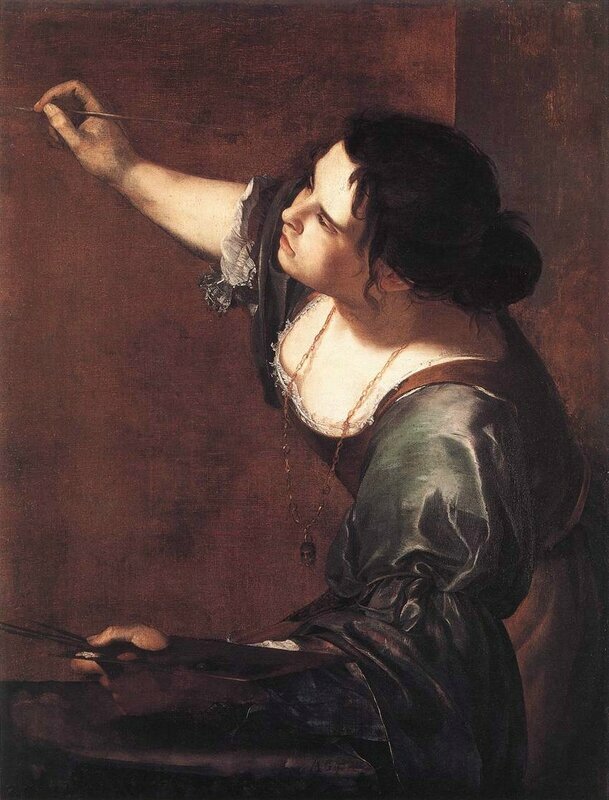 Artemisia Gentileschi, Allegory of Painting, c. 1638-39. RCIN 405551. Royal Collection Trust / © Her Majesty Queen Elizabeth II 2017.